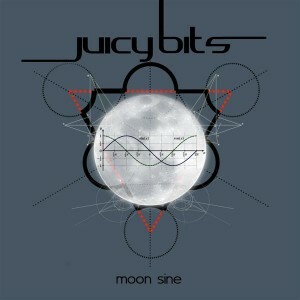 Juicy Bits is a collaboration between two veterans of the Mexican underground, Saeg and Ojos. After making their debut with Honey Dolphins in 2012 they return to the groove with Moon Sine, a fresh collection of progressive techno tunes filled with funky bass lines, high-tech sound design, and a variety of different influences for wide open ears. Mastered by Ojos at Blossom Records with artwork by Saeg. MP3 Download | FLAC Download | WAV Download · Download count: 9,331. Honey Dolphins was good, but this is better! Great Release! Scummed through it and this seems like a perfect album for long car rides or idly surfing the net!